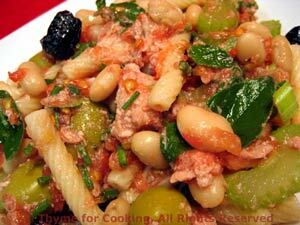 Pasta with Tuna, White Beans, from Thyme for Cooking's seasonal menus. This is a cold pasta dish, making good use of late summer, ripe tomatoes. No cooking, other than the pasta.